At the Iranian border there was a building at the back where we sat waiting while they checked our passports. Against one wall we could see a large glass case full of things discovered by the customs officers – containers of every kind that had been used by travellers for hiding hashish and other drugs as well as precious gems. The names of the smugglers were written on labels. They were probably doing long jail sentences in Iranian prisons – I pity them with all my heart. This case of smuggled articles probably served as a warning. After the border, everything changed suddenly. There was a little mini bus to meet us with two Afghani drivers to take us the five miles from that border to the Afghani border. How different these people are, not only in their dress: scruffy turban-like head dresses and baggy pantaloons and tunics, but in their characteristics too. They are strong, wild, rugged people, but I feel respect for them – the men do not stare in the same unpleasant manner at me as the Iranians did as I walk along the streets. They are altogether nobler people, or at least so they appear, though perhaps I should not judge. They lead a hard, wild life here – they look almost like unkempt gypsies. After we were finished at the border, the same bus took us to Herat. The gravel road was narrow and the land we passed through was some of the most barren country I have ever seen, with only a few camels, goats and Nomadic tents scattered here and there. 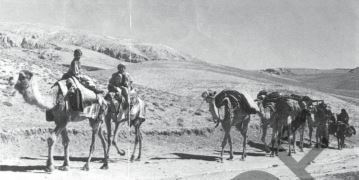 We saw groups of men riding camels laden with goods going along the same road. There was little traffic. On the bus there were a few Germans, English and Dutch as well as Paul and me. Our luggage was piled up on the roof. The mini bus to Herat had a flat tyre when we were half-way there and we stopped at a little brick building in the middle of nowhere – most buildings are not of brick, but of mud. Tea was made for us – in glasses as usual – from a little teapot set on a stove that we all huddled around. We chatted to the Afghani men. They have a great sense of humour and answered my many questions. At least there seem to be quite a few people who speak English here. There were not in Iran. We arrived in Herat late last night and all of us piled into the little hotel right next door to the bus station. The owner came out to meet the bus. The hotel is a simple wooden building with little furniture inside – bare wooden tables and benches in the restaurant – more like a hostel than a hotel. It costs 20 afghanis a night – about 20 pence. Paul and I got one room between us for this price. I am sitting in the little restaurant now. The food is very good. Last night I had rice, spinach and beans. The bread here is huge, oblong-shaped and flat – it is whole-wheat bread cooked in stone ovens on the ground with an open fire at the back. I was longing to explore Herat last night but it was already night and too dark. I woke up this morning with the sun shining in – what a surprise – at least it wasn’t raining or snowing. There had been deep snow near the border and for some way into Afghanistan. Paul got up very early this morning and went out but I didn’t wake up until about 10 o’clock. I found out later that he had gone horse riding around the town. While I was lying in my sleeping bag – I slept on the same mattress as Paul but a little way away from him! − suddenly the owner of the hotel came into the room. He said he didn’t know anyone was there! He said his name was Josef and he invited me to come for a free breakfast and talked to me about Yorkshire, where he says he stayed when he visited a woman tourist who once stayed in his hotel. Then he took me around the town. What a surprise I got when we went out – what a beautiful little town! The buildings here are square with flat roofs and look as though they are made from sand. The town looks like a picture out of the Bible, from Biblical times, and the way of life here looks as though it has not changed since then. It is like stepping back two thousand years into the past. It is amazing here – so fascinating and picturesque. What a wonderful film setting it would make. It is like a place completely cut off from the rest of the world, both in time and space. We caught a pony and trap, as one would a bus, to a little place where I changed some money. It was a restaurant, and Josef, the owner of my hotel, bought me some hot milk and tea. There was also a plate of sugared nuts. Then we caught another pony carriage to the bazaar – an incredible place with low arch-like stone or mud square buildings, open at the front, each displaying different goods. Inside, at the back, you can see the men and boys at work – some are carpentry shops, others are blacksmiths, others are bakeries, etc. There are open ‘shops’ and stalls of nuts, raisins, dates and cakes of all kinds, although not like European cakes. There are Afghani dress shops full of long embroidered dresses of different colours, and fur shops. This afternoon I went around the town with Paul. He bought a coat today for one hundred dollars – fox fur. He can probably sell it for three times that much in Europe or the USA. Everywhere we went, people pointed to our clothes and said, “How much?” They wanted to buy our western clothes. I sold my denim dress for 100 afghanis. Now I am wearing jeans and my black zipped jacket. We saw women’s burkhas for sale (like long cotton cloaks) and one of the stall sellers asked Paul if he would like to buy one for me! We met a couple of western people walking around. The girl told us that her boyfriend had been made an offer for her. An Afghani man wanted to buy her – he had offered several hundred sheep for her! Back at the hotel, Josef the owner, also asked me to marry him! Then he made me an offer. 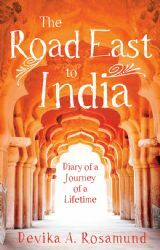 He said I could stay here free in his hotel for a few days – free food and accommodation – and that he would take me sight-seeing to the little villages around about, and out horse riding and bicycle riding – then I could catch the ‘Overlander’ bus that comes in five days’ time all the way to India. I thought I had better make things clear to Josef, as they apparently were not clear for Paul. I told Josef that I would not sleep with him. He promised me he did not expect that. I would like to stay here a bit longer. I want to discuss it with Paul. I feel determined that I am not going to become dependent on anyone on this trip. Perhaps Paul would rather travel alone now he knows that our relationship would be virtually platonic. Certainly he has grown a little colder to me.